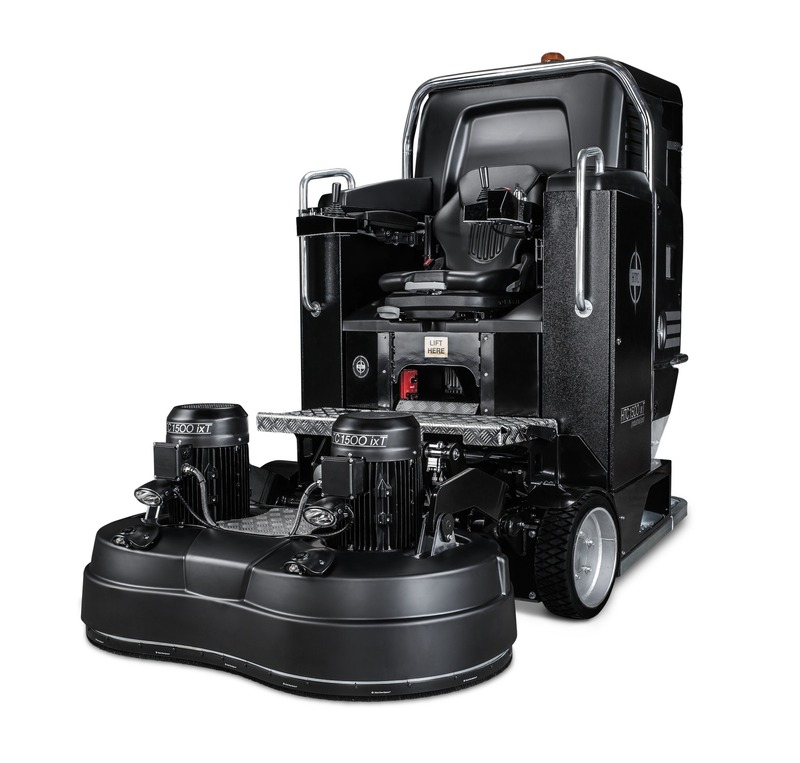 The machine is incredibly effective at grinding large areas in a short time, which means huge time-savings for the client. The HTC 1500 ixT is compact and easy to operate, with a clear, easy-to-understand control panel. It is also silent and has a considered ergonomic design. The machine is electrically-powered, but also has batteries that make transportation easier, as you can drive the machine for loading and unloading. The HTC 1500 ixT is equipped with a Mist Cooler System and has two integrated suction devices that contribute to a better working environment. The grinding head can be raised and lowered which, combined with the EZchange system, makes it easy and convenient to replace tools and saves a lot of time. A machine for large areas that can also strip small areas. Silent machine with ergonomic design. Compact and easy-to-operate; controlled with joysticks. Battery operation for transport, loading and unloading. The grinding head has 2 x 11 kW motors.